Paris has perfected the café culture of sitting for hours, reading, sipping, discussing, and observing the passersby -- the only problem is that baristas in most cafés never really perfected the coffee part of this equation. In the past 10 or so years, coffee culture, influenced from the UK, USA, Australia, and beyond, has brought a new wave of coffee shops to Paris. Whether you’re a coffee snob who likes to discuss beans and roasts, or just someone who wants a good flat white, here’s your list of the best shops currently open in Paris. 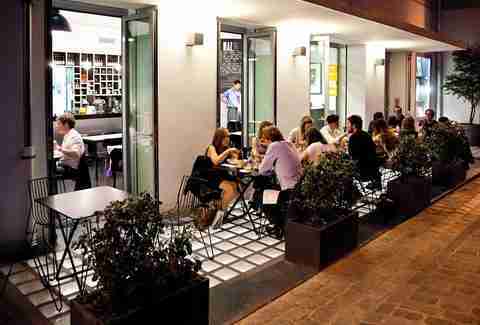 Less of a coffee shop and more an innovative eatery, Holybelly has become a sort of legend by the Canal. The young and the cool flock here for a table and a chance to dive into their pancakes and eggs. The menu changes quite often, but everything that comes out of the kitchen is memorable. 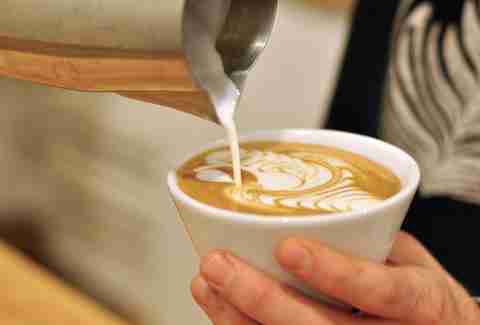 Stop in for a coffee when there’s no mad breakfast or lunch rush and you’ll get some of the city’s finest drinks. 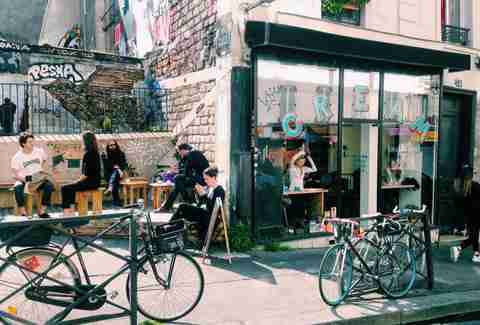 This tiny shop right off the canal is a staple of the hipster coffee scene, serving up fresh brew from the now-famous Belleville Brûlerie, a roaster located not far from the shop. One of the first real coffee hotspots in the area, this place has remained popular due to their great coffee, simple lunch, homemade cakes, scones and jam, and thick hot chocolate. Space is limited, so consider getting it to-go and sitting along the canal’s banks. 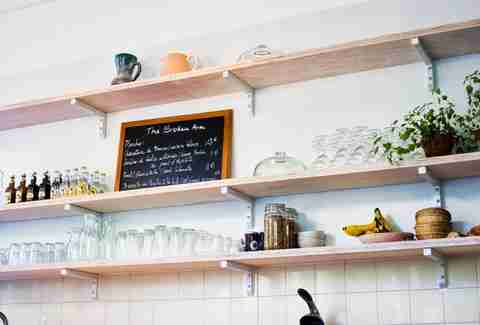 Hailing just this year from Melbourne, Hardware Société brings the best of down under to the Parisian table. Located in touristy Montmartre, the shop is just far enough away from the bustle to feel hidden. French pastries round out a menu filled with fruit-topped French toast, eggs, bacon, salmon, and other brunch staples. The cold brew coffee and chai lattes are the best you’ll find in the area. Part coffee shop, part coworking space, Craft is a bit more grown-up feeling than the other neighborhood hangouts. This shop serves up excellent coffee drinks, both espresso and filter, from local roaster Lomi. You can grab a seat in the back and spend some time getting work done, but if you want that Wi-Fi password, you’ll be forced to buy coffee and a cake or cookie. Poor thing, you. Run by an Australian alumni of Ten Belles, Fondation is a tiny shop just a stone’s throw from the greenery of the Square du Temple. If one of the dozen or so seats isn’t available, take your cup to go and check out the scenery in the square. Fondation always has a solid filter coffee, including an iced version when it’s hot -- which is not a given in Paris. Their beans hail from Belleville Brûlerie, and their small selection of cakes is excellent. Go for the banana bread if you love yourself at all. Roasting since 2010, Coutume is for serious coffee lovers who care about things like Chemex, AeroPress, and cold brewing. For newcomers to coffee nerdery, it can all seem very scientific and overwhelming when you walk into their shop, which is just down the street from the Bon Marché department store. But fortunately, the baristas are ready to help you pick the drink that’s best for you, and you can feel like you learned a little something along the way. This crew also runs a second shop, Instituutti, which is located in the Latin Quarter. 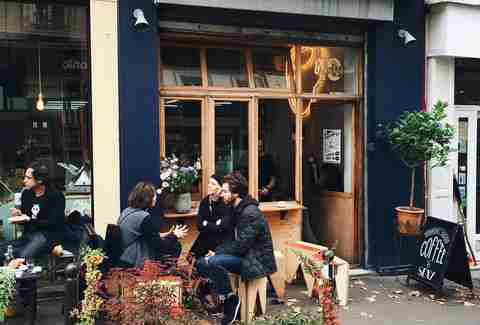 Seating is at a premium at this former cobbler’s shop where locals spill onto the street for their espresso kicks. The cookies and cakes often piled at the bar are tempting, but the draw here is the coffee. 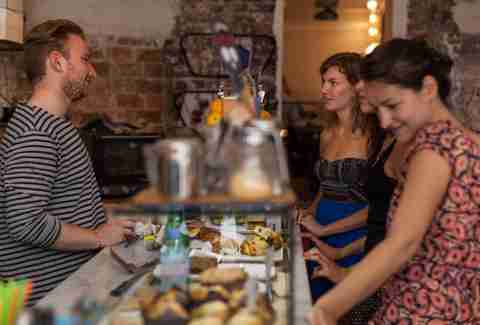 Like an Italian café, you probably won’t mingle too long in the shop with your drink -- mostly because you can’t. If you’re lucky enough to grab one of the few seats, know that everyone who arrives after you will hate you. But at least you’ll be comfortable. Graduates of Ten Belles (it’s a rite of passage), the owners at Cream have conquered new coffee territory up in Belleville. The nearby Belleville Brûlerie supplies the beans, but the cakes and treats are all fresh from the oven. There’s even a little terrace just next door to take advantage of any good weather. One of the original roasters in Paris, La Caféothèque lacks some of the stylish appeal of the other shops around Paris, but it’s still a favorite for coffee connoisseurs, who have been drawn in by the smells of freshly roasted coffee in the storefront since 2005. The advantage here is plentiful seating, so you can enjoy your drink and one of their gluten-free pastries without feeling rushed. Bonus points for being able to buy from a large selection of roasted beans that they’ll grind for you. 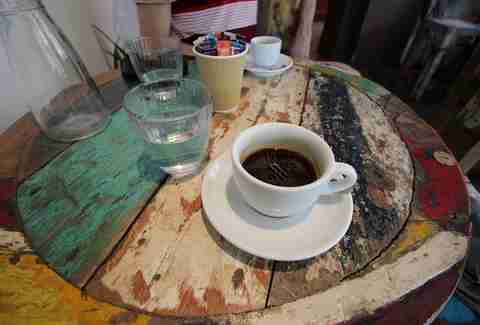 Few people expect to find exceptional coffee at any of the cafés along tourist-laden Rue Mouffetard. Dose, however, has changed all of that. With a tiny terrace located in a passage and a handful of seats inside, it’s an ideal hangout for students from the Sorbonne campuses located in the vicinity. The coffee is solid, and as these little shops are taking over Paris, they’ve opened a second location in the 17th district. Spread the love, right? This little corner of town is slowly gentrifying, and though it’s not quite there yet, Blackburn is on the forefront. This little shop, with its rustic, wood-covered walls, high tables, and smooth angles is an oasis of good coffee and delicious fresh food. The freshly baked muffins and cookies are a good change of pace from buttery croissants -- although nobody’s exactly complaining about those -- but the major perk here is that you can usually find a free seat. That’s not a given at most of these places. Just a few blocks north of the Centre Pompidou, Loustic is super-fashionable, with plush pillows and patterned floors, but the coffee here is also excellent. 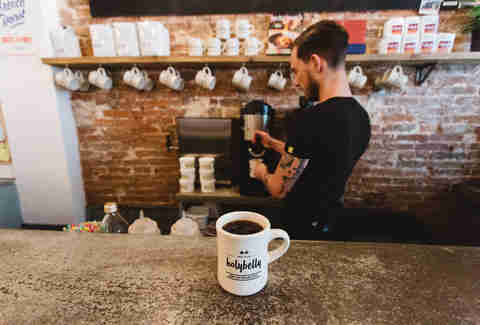 Go for a flat white, a filter, or anything in between -- these baristas are serious about their brews. Space is limited, but there’s usually room to find a couple of seats. Under the arcades of the Palais-Royal, fashion brand Kitsuné opened a coffee shop with arguably the best location of any address on this list. Tables in the garden overlook the fountain and flowers in this seemingly secluded nook of Paris. However, this place is no secret, and neither is the fact that the coffee, hot chocolate, and chai lattes here are on-point. 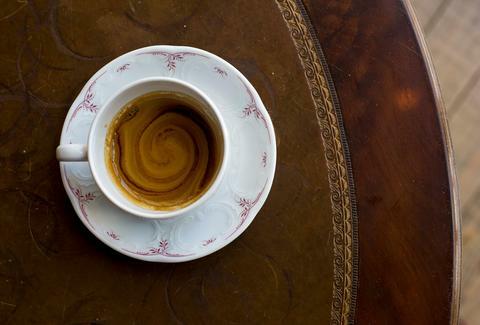 Many Parisian coffee shops seemingly equate good coffee with scant seating, and the rule holds true at Café Oberkampf. The coffee and cold brew here are lovely, and the food doesn’t disappoint either. 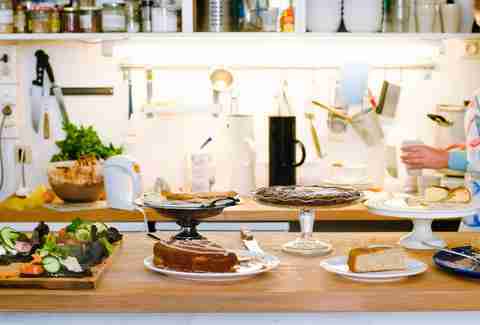 Peppery shakshuka and weekly toasties are on the menu alongside cakes, cookies, and muesli. Their Instagram account is drool-worthy, with captions in both English and French that are as confusing as they are delightful. Fashion labels and coffee shops go hand in hand, and at The Broken Arm you can follow up some shopping with a little shot of caffeine just next door. The café has seats overlooking the greenery of Square du Temple, which usually catches a few rays of sun. Breakfast and lunch here beat any regular café, with an ever-changing menu of tartines, soups, and other light fare. Don’t skip out on their desserts, either. While this isn’t a big contender for anyone into serious coffee, it’s the only coffee shop in Paris housed in a 16th-century mansion. Yeah, good luck topping that one. The coffee and cakes here are all influenced by Swedish cuisine, since it’s all part of the Swedish institute. Grab a seat in the beautiful courtyard to sip a cup of rich filter coffee and be grateful you chose this place instead of one of the more fashionable spots next door. Often forgotten in this northern corner of Paris, Lomi roasts beans and supplies many of the other shops on this list. The industrial chic décor and wooden furniture host serious, laptop-tapping creative types during the week, and brunch enthusiasts during the weekend. The joe is always good here, and the vibe is much more local than some of the other more central boutiques. At just five years old, this is one of the senior coffee shops in Paris, and still serves up the best coffee on bustling Rue des Martyrs. 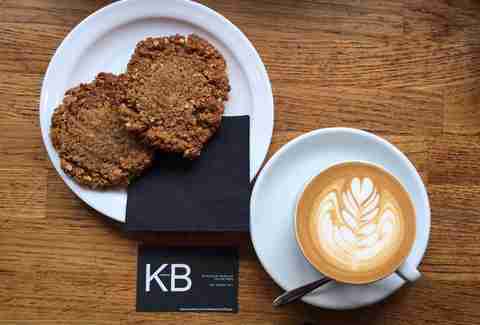 The street is full of some of the city’s most delicious pastries, but KB holds its own with homemade cakes and scones, as well as lunch and brunch offerings. There is plenty of terrace seating, which means sun and views of the Sacré-Cœur basilica, but the inside is seemingly reserved for anyone with a Mac. Be warned. Launched by the team behind KB, the location in the middle of the 11th arrondissement isn’t the most obvious. 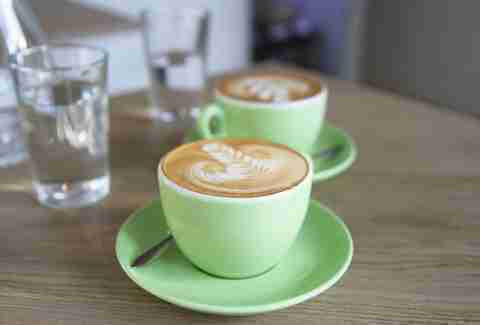 But coffee aficionados will want to head to this new kid on the block to get the good stuff. They have the requisite pasties and sandwiches, and the shop also has been known to prepare donuts from time to time. The café has a sizeable terrace next to leafy Square Maurice Gardette, if you need to do a few laps to work off the buzz afterwards. 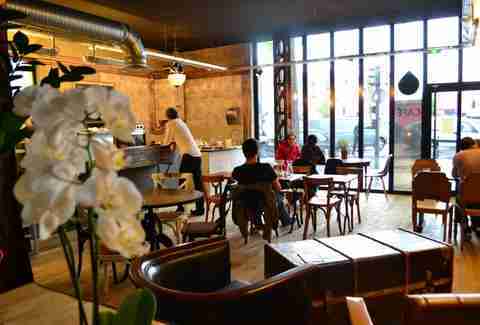 Located a few blocks west of Montmartre, Le Bal doesn’t usually attract too many tourists, and this art center and café is well-worth the trek. The coffee and pastries that made it a popular hangout a few years ago have given way to real lunch menus and a selection of wines. But fear not, both brunch and afternoon teatime are still very much alive at Le Bal. Come here especially for the fresh juices and ginger beer, in addition to the cappuccinos and espresso. With five shops in Paris, Terres de Café is one of the city’s more recognizable coffee shops, but it’s got less of the cool factor than many on this list -- which is precisely why it’s a local favorite. On top of that, their coffee is top notch. Their new boutique in the Marais has space for cupping classes, and a warm welcome always accompanies each drink ordered, even if you’re expecting the usual gruff Parisian service.